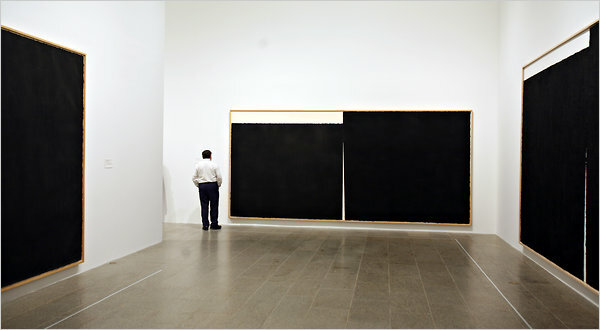 Since 1971 Richard Serra has focused on large-scale drawings as an art form separate yet linked to the large site-specific sculpture he is known for. The Richard Serra Drawing Retrospective cohesively collects these 40 years of drawing into one exhibition for the first time. The works in the show offer a special insight into the artist’s thoughts and conceptual process, including pieces created in a variety of formats and materials. Much like his colleagues Sol Lewitt and Cy Twombly, Richard Serra confidently shows the unprecedented and unique results that arise when drawing, sculpture, and installation overlap. He reminds us that when mastered, elements of space, form, and material together can create a transcendent experience.